Happy Friday! I had such a productive week ya’ll! 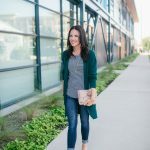 Yesterday, I took the day off from work and lived that full time blogger life. 😉 I attended a spring trends fashion brunch over at Neiman Marcus, and ya’ll I wanted all the things. So many cute new trends coming out for spring, I can’t wait. I shared a few of the outfits on Instastories, so you may still catch them up there this morning. 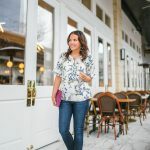 Yesterday, I started the day in beautiful sheer spring top and then had to come home and change into a sweater for my afternoon errands. It was the exact day I needed a cute lightweight jacket. This early spring time of year is when lightweight jackets become such a necessity. 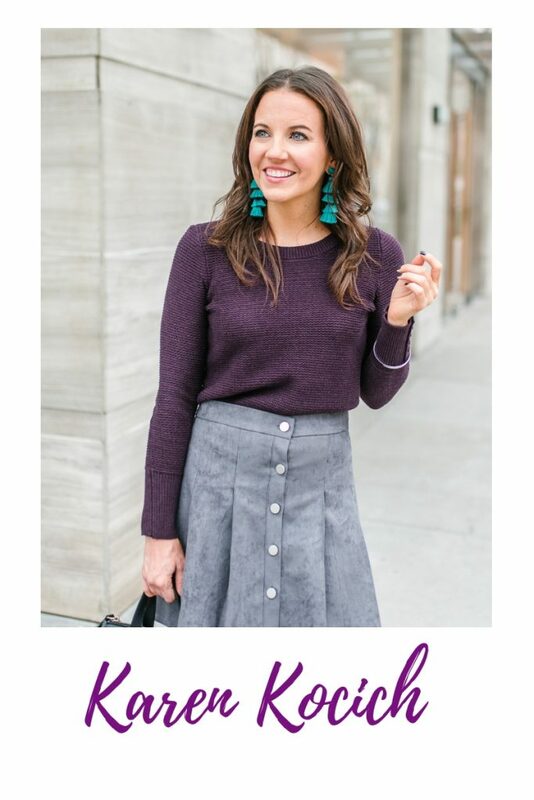 Something you can toss over your outfit for a cool morning or evening, and then wrap around your waist or throw over your bag for the warmer parts of the day. During the spring, I wear my denim jacket so much. It really is the perfect lightweight jacket. I decided I should probably look at getting one or two more especially since I can probably wear them during the winter here too. 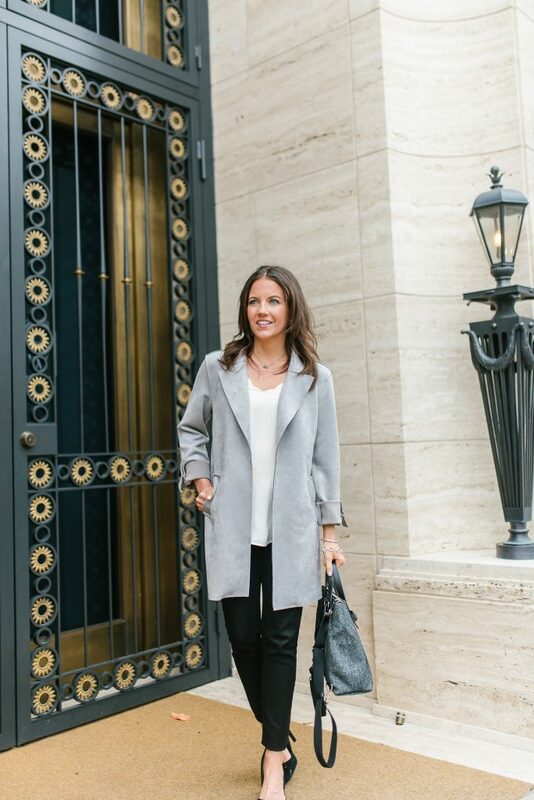 My search started with utility jackets, another perfect spring jacket, and led me to this gorgeous light gray suede long jacket. It’s so the perfect spring color. The suede is pretty light so not going to be too warm. The open drape front and rolled sleeves lend an effortless Spring vibe to this jacket. In addition to amping up your casual jeans looks, you can also wear this over a dress for the office. 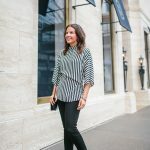 If you are looking to add a lightweight jacket or two to your closet this season, I shared a few more favorites below in a variety of styles from weekend to office. I hope ya’ll have a fabulous weekend! I have several plans with friends including a Galentine’s Day celebration and a friends’ birthday brunch. I see plenty champagne in my future this weekend! This jacket is so pretty! I love it and such a great shade for spring.